Scientists from the University of Portsmouth and local volunteers have taken part in the UK's largest ever citizen science project to understand how our coastline is changing in the face of climate change and species invasion. Running over three years 'Capturing our Coast' recruited 2,500 volunteers to survey 1,800 sites around the country's coastline and hundreds more to take part in additional data collections. 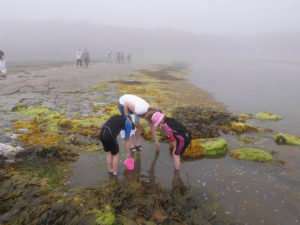 162 records of invasive species confirmed on the UK's coast including the Japanese Wireweed; the Portuguese and Pacific oysters; the Australian barnacle, the orange-tipped sea squirt and Wakame seaweed. Several seaweed and mollusc species are already showing changes in abundance, or are moving to different areas around the UK to escape extreme conditions. 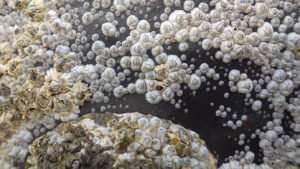 Dr. Gordon Watson, from the Institute of Marine Sciences at the University of Portsmouth, said: "Changes to marine life because of factors such as increased sea temperatures or more severe storms, may make our shores inhospitable to certain species that we take for granted. "Our volunteers in the south were some of the most active in the country with 437 volunteers trained using over 2,090 quadrats to count species on the south's shores across Dorset, Hampshire, Kent and the Isle of Wight. By studying keystone, indicator and invasive species and how they are changing, we are better able to understand what is happening more widely across our seas because of human impacts such as climate change." 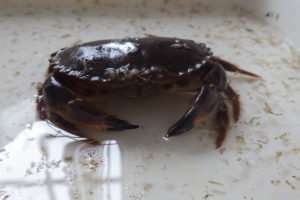 The project lead Dr. Jane Delany, a Senior Lecturer in Marine Ecology at Newcastle University, said: "Invasive species are one of the top threats to UK coastal biodiversity. Globalisation of maritime activities has resulted in invasive coastal species arriving in UK waters through shipping traffic, escapes of species deliberately introduced for aquaculture, and introductions through 'hitchhiking' with imported species."